With our very high tech audio installs, you will not be disappointed. We take great care and precision when completing any sort of work. But when it comes to audio, we like to give our customers the best quality that they are after. From giving a very crisp sound to giving almighty bass. We will always pursue to make the customer as happy as possible. This is what we as a company thrive upon. We believe customer satisfaction is key, and that is what we aim for. We have had many top of the range audio installs. And with this. We have had years of experience with audio and only offer customers the best that we can offer them. We try our best to give the customer especially what they want, this is our passion. As the leading vehicle Tracking specialist & reseller for Tracker U.K, we always ensure our clients receive the best installation & customer service. Approved dealers for all major tracking system brands such as Autofleet, Tracker, Vodafone, Trafficmaster, Smartrack, you can always guarantee the best vehicle Tracking & security products. At Exec Spec / Tracking My Car, we pride ourselves on always delivering exceptionally high standards. With qualified auto technicians & a wealth of technical support, you can be trusting your vehicle is always in safe hands. We never compromise workmanship, always working on your vehicle with the latest industry knowledge & training to meet Thatcham expectations. Completely undetectable our new Autowatch Ghost immobiliser is the latest version of car protection. The Autowatch Ghost stops thieves two ways. Here at Exec Spec, we pride ourselves on customer satisfaction. We as a company are not happy if the customer is not happy. With an increase in vehicle theft, we have now got a wide range of vehicle security products available. But the main targets at this moment in time are tradesman’s vans. Known having thousands of pounds worth of equipment in the back of them, vans are becoming a key target for thieves. It also does not help by being easy to break into. Thieves are finding anyway and every way of getting into your van, this is why we are offering the best van security in Nottingham. From deadlocks to slam locks to drivers door replacement locks, we have a lot of security options available to help secure your van. We also have a wide range of alarms and anti-theft products available to protect your van. This is our fight against vehicle crime and theft, come in store or phone our sales team now to see what security products are available for your van and help us crush the threat of vehicle thieves. With a huge increase of reports of which thieves are attacking van’s looms with blades. This will cause the van’s central locking fuse to blow and all the vans doors unlock. This grants thieves access to any of your doors and can take as much time as they like as your alarm is also cut off. Seeing how easy it is for thieves to have full access to your van and thousands of pounds worth of tools in the back, you’ll be silly not to get the cable loom guards as some backup security. By thieves slicing your vans loom, the cost can be anything from £200 to repair it, but for £99.95 you can avoid that repair cost and avoid the threat of all your doors being unlocked. The deadlock is a very popular security option. With an increase in van break-ins. The deadlock is a cheap alternative to stopping thieves from gaining access to your expensive equipment. Available on the side load door and the rear barn door. Deadlocks keep your door locked with a separate key to your van. This is so even if the thief clones your key & disables the alarm or even the central locking. Your van will not open if the deadlocks are locked. This has been proved effective to many handymen as they come back to their van and someone has attempted to break in but doors all securely shut. It is a very wise for you to consider these locks. You can ask anyone who has had these locks, no one would regret the decision. To make sure your driver’s door is secure, it would be a very smart decision to choose this lock. With an increase of thieves entering the van cab area by getting past the factory alarm, and just simply unlocking the vans rear doors. The driver’s door replacement lock is the perfect solution to stopping thieves from being able to break your driver’s door open. Separate from the factory van key, it doesn’t matter if they clone your vans keys or somehow acquire your vans keys, they will be unable to unlock your driver’s door as it is a completely separate key. This makes sure that only the driver can unlock his driver’s door. Slam Locks for Van security. Our security van slam locks designed for the individuals & fleets. Perfect for delivery companies these locks are ideal for quick locking of your van doors without the need of using your remote fob for locking. How do these locks operate? Our slam locks are professionally fitted to your van doors ( for example rear sliding door & rear barn doors).The slam lock are of high visibility to deter thieves & make awareness of the extra van security. These locks takes of the original key barrel & locking from the original door handle or latch. With our slam lock integrated between the door handle & latch locking mechanism, it allows the door to be constantly locked whenever the occupant leaves the vehicle. Perfect scenarios are for delivery drivers/couriers who have constant access to the rear load area of their van. By using the slam lock security key you would gain access via the lock. Automatically locking the door by just closing it when leaving the vehicle. Need your van secured with extra locking? With our wide range of reverse cameras & monitors, we will have you covered. Being vehicle specific, these reverse cameras & monitors work perfectly with your desired van. Whether it’s a commercial van, tipper, courier van and many many more, you can still find the designated reverse camera & monitor system for your vehicle. Designed to help you manoeuvre and see more clearly when reversing, these reverse camera & monitor systems do just that. Whether you have a rearview mirror or not, we can still install our systems. With designs that clip on to your existing mirror or simply replace the mirror that isn’t there, you are never going to have issues with the fitting purposes. We also offer many variants of the standard reverse camera monitors, we offer ranges from smart monitors that has built-in GPS, Navigation, touch screen and rear camera display. Reverse cameras built into your brake lights, reverse cameras built into a number plate holder, and also the option on some cameras with added night vision, infrared reverse cameras. To help put your mind at rest, install the latest stock of witness cameras to help cover yourself on the road. With a huge increase of groups of drivers going around trying to get claims from other drivers, the witness camera is a small but very important purchase. The witness cameras are used as a third eye at a scene of an accident, they help prove your innocence from false accusations made against you. With witness cameras reporting during your full drive, you will always be covered. And with a retractable sim card, you can save all important data on a computer or laptop but then still carry on to record your driving without worrying about deleting the important recording. Useful for all individuals, small fleet and large fleets. Help monitor your drivers and help keep your company safe from false claims. Help keep yourself and others safe on the road and cover yourself. Welcome to Exec Spec, Nottingham’s Leading Window Film Installers. With over 15 years’ experience, we outclass our competitors. We offer automotive, residential and commercial window tinting service’s in Nottingham, Derby, and Leicester. Exec Spec is known for its first class installations and attention to detail our technicians apply. All of our Technicians are highly qualified window film installers, with advanced training allowing us to be updated with the more complex vehicles of today. Rest assured your vehicle is in safe hands! We are here to help you chose the right window film for your vehicle. 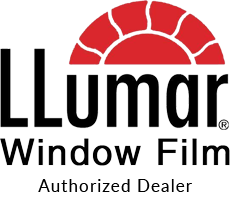 We have a wide range of window films to choose from and only install the best products available. All of our installs are backed by manufacturer warranties. We also offer a while you wait for Window tinting service at our purpose built unit in Nottingham.